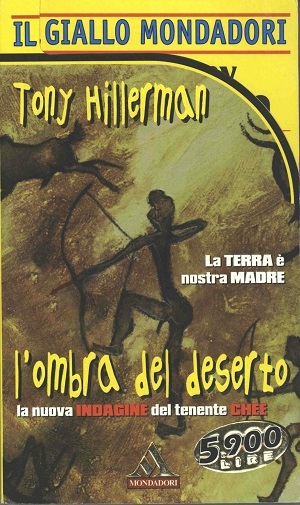 This is the Italian paperback edition of The Fallen Man, published in 1997 by Arnoldo Mondadori Editore in Milan, Italy. The text was translated into Italian by Nicoletta Lamberti. The series, Il Giallo Mondadori, was published weekly, this edition, number 2548, was printed for readership for the week of November 30, 1997. The cover was designed by Giacomo Callo and Studio Echo and illustrated by Franco Tempesta. The cover has two separate pages, with the first one cut down so that the publisher's name on the second page shows through. Format: Paperback, 17.5 x 10.3 cm. Binding: Paper covers with full color illustration. The author's name, title, publisher's logo and edition number are printed on the spine.